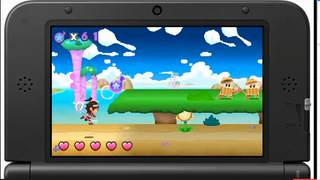 The rhythmic combat game HarmoKnight will be coming to the 3DS in North America "soon," Nintendo said today. The most interesting thing about the game? It's the first non-Pokémon game that Pokémon creators GameFreak have made since Drilldozer on the Game Boy Advance. The game was released in Japan this past fall. See it in action here.